With Peter Farrelly’s Green Book scoring an unexpected win at the 2018 Toronto International Film Festival in the coveted People’s Choice category, the drama’s solidified its shot at Oscar glory. A People’s Choice Award win all but guarantees a Best Picture Oscar nomination, and now Universal Pictures will have to kick up the film’s awards season campaign a few notches. Peter Farrelly, one half of the sibling filmmaking team behind What About Mary, Dumb and Dumber, and Hall Pass, made his solo feature film directing debut with TIFF winner. 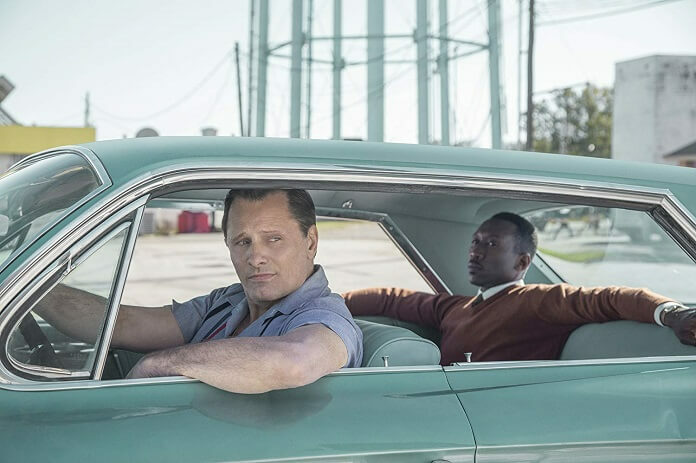 Green Book is based on a true story and stars Viggo Mortensen as a bouncer who drives a world class pianist (Mahershala Ali) on his concert tour from Manhattan to the Deep South during the racially-charged 1960s. The film was embraced by Toronto Film Festival audiences and currently sits at 100% fresh on Rotten Tomatoes. Green Book was written by Peter Farrelly, Nick Vallelonga, and Brian Currie. Linda Cardellini, Sebastian Maniscalco, Dimiter D. Marinov, and P.J. Byrne co-star in the drama. Universal Pictures is targeting a November 21, 2018 theatrical release.